Since the start of his presidential campaign, Donald Trump has sworn to destroy ISIS, threatening to be "nasty" and to "annihilate" the terrorist group and its leaders by "bombing the s*** out of them." "We need to start preparing for a big comeback by al-Qaeda" former FBI terrorism expert Ali Soufan told PRI earlier this month. The author of Anatomy of Terror: From The Death of Bin Laden To the Rise of the Islamic State, Soufan is one of many who warn of an Al-Qaeda resurgence, likely to take place under Osama bin Laden's charismatic 28-year-old son, Hamza. Canadian counterterrorism expert Mubin Shaikh agrees. "The thing that everyone keeps getting wrong about Al Qaeda is because of what AQ's Al Suri said long ago," he wrote in a recent e-mail. "Al Qaeda is a system, a methodology, not a group per se." Indeed, as ISIS loses territory in Syria and Iraq, Al Qaeda's influence and power is growing. Some experts have speculated about a potential ISIS-Al Qaeda merger. Others point to the demise of ISIS as a motivation for Al Qaeda operatives to strengthen their recruiting efforts, and as reason for newly-inspired would-be jihadists to turn to Al Qaeda in its place. 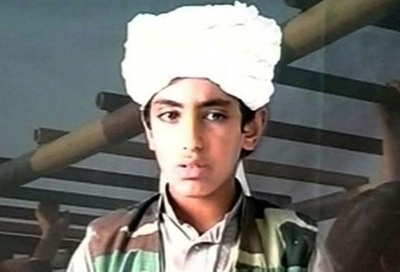 That guide may have marked the beginning of the terror group's comeback, as Hamza bin Laden is seen as taking on more power in the organization. Nicknamed the "Crown Prince of Terror," Osama bin Laden's favorite son "grew up with a fervor for jihad and a determination to follow in the footsteps of his notorious father," according to an investigative report by Ali Soufan and published in Newsweek. After bin Laden's 2011 death, Hamza swore revenge on the U.S. in the name of his father and "those who defended Islam." "We will continue striking you and targeting you in your country and abroad in response to your oppression of the people of Palestine, Afghanistan, Syria, Iraq, Yemen, Somalia and the rest of the Muslim lands that did not survive your oppression," he pronounced in a speech. Hamza, according to Soufan's extensive biography of the younger bin Laden, has been "groomed to lead" from a young age. But unlike his father, who served as a kind of wise elder figure in inspiring recruits and followers of his jihad, Hamza has a different advantage: his youth, which makes him better suited to attract the kinds of younger jihadists and aspiring jihadists who have been more recently attracted to ISIS. He is, in fact, just two years older than your average jihadi recruit. He "gets" social media. If Al Qaeda has historically been credited for its planning expertise and ISIS for its recruitment, a Hamza bin Laden-led Al Qaeda has the potential to excel at both. The Al Qaeda he is poised to lead is also different than his father's organization, having quietly strengthened itself in the shadows while the West focused its energies and intelligence on ISIS. In addition, a Vox report points out, while ISIS has been shrinking in Syria and Iraq, Hayat Tahrir al-Sham, the Syrian Al-Qaeda affiliate, has expanded to become "one of the most effective fighting forces in the Syrian civil war," in part through its alliances with other anti-Assad groups in the region. It has proved to be a clever strategy: Al Qaeda can now call on those groups for support as it focuses its sights elsewhere. And while Vox observes that it's "unclear how interested many of these al-Qaeda affiliates are in attacking America at this particular moment," the threat of such an attack is undeniable. That the group is already publishing manuals encouraging train derailments in Western countries and other maneuvers – even noting that such attacks will not end in "martyrdom" – indicates that it is turning its focus back in our direction. Hamza has also called for Muslims worldwide to "join arms" against the Western crusaders. In an undated video cited by Al Arabiya, the young bin Laden declared that, "In order for the people of Syria to resist the Crusader, Shiite and international aggression, Muslims – all Muslims – must stand with them, support them and give them victory." It is this kind of rhetoric that Shaikh believes is working in Al Qaeda's favor. Unlike ISIS, he says, "they did not go all barbaric Sharia Law on people, because they realized the problems they would face in brand management, and that this was the problem IS faced. They are working to win hearts and minds in Syria, and they are succeeding." Not everyone agrees, however. "Hamza's messages have barely registered in jihadi and Islamist spheres," argues Hassan Hassan, a senior fellow at the Tahrir Institute for Public Policy, and "senior jihadis in Syria have dismissed Hamza's leadership prospects." Nor does Hassan see much chance of collaboration with ISIS. Nonetheless, he notes, Al Qaeda appears to be trying " to position itself as the true heir of bin Ladenism and the unrivaled leader of global jihad." To be sure, Al Qaeda is not the only group that has quietly strengthened while the world has focused on the Islamic State. Hizballah also continues to be a threat, especially from South America: "The threat is coming from everywhere," Shaikh wrote. "When Americans talk about the Muslim threat from the Mexican border, it's not all hyperbole. That laptop ban, for instance, was not based on nonsense: in Somalia, a Shabaab bomber blew himself right ... out of the airplane." But Al-Qaeda, he believes, may pose the biggest danger. "AQ is playing the Long Game," he said. "We're not. That's our problem."